The biggest story is a convincing re-analysis of background cosmic radiation that points to gravitational waves, the ghostly debris of the first trillionth of a second post Big Bang. Gravity is the one force that hasn't had a particle or wave associated with it. 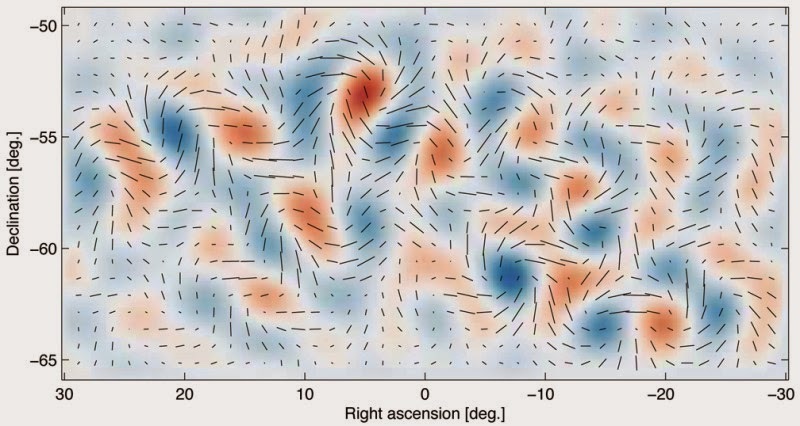 Gravitational waves from inflation generate a faint but distinctive twisting pattern in the polarization of the cosmic microwave background, Read more at Science Daily News. The sun spit out a perfect storm of flares that would have rivaled the Carrington event of September 1st 1859 if it had pointed our way in July 2012. Two trillion dollars of damage and a few years to recover sounds about right. Nine days earlier we`d have got it. 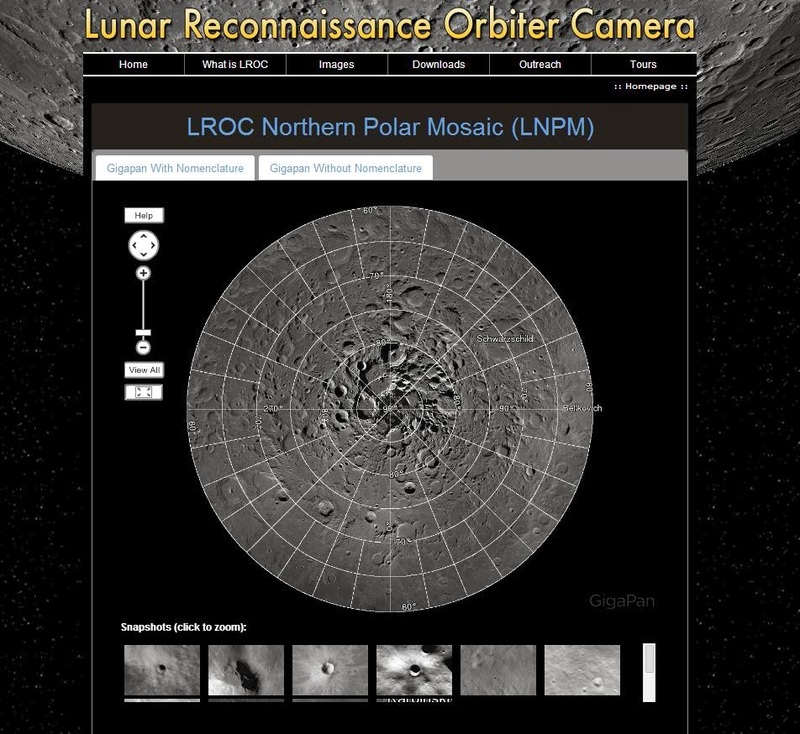 A 680 gigapixel image of the moon from 60deg. to the north pole has been posted by NASA. It zooms smoothly, resolving rocks to 2m. Almost unfrickenbelievable. This links to the interactive website and below is a snapshot of what it looks like when you go there. There's an app for a map, not so finely resolved but stunning on your smart phone. HUBBARD TRACKS LARGE ASTEROID COMING APART. A large asteroid has been tracked as it starts to come apart with more than three lumps travelling jointly. It seems to have been cobbled together from smaller lumps which are being stressed unequally by the small but nonetheless real heating by the sun. Time lapse Hubble photos of P/2013 R3 as it breaks up. Side by side craters in Sweden (Lockne and Malingen) are proved to be from two such meteor chunks that had a like trajectory and arrived almost at the same moment. The speculation is that multiple bundles are common and in some cases, the lesser is in orbit like a moon around the larger. (Couplets may be 2 to 15%). Link to a second story with pictures. Link to last issue, January2014.